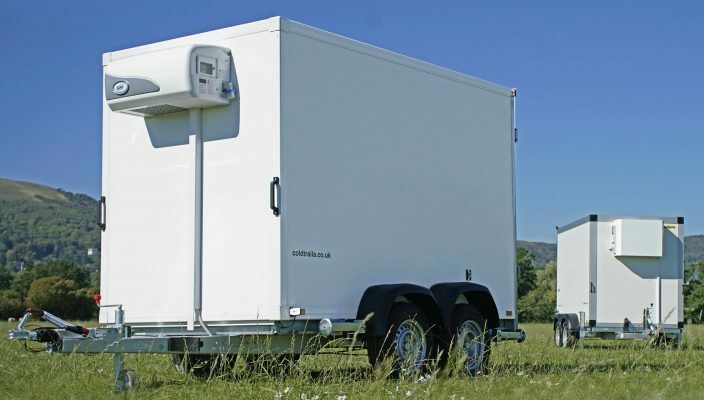 The UK’s largest provider of fridge and freezer trailers has launched a new 24-hour emergency service specifically for the care home industry to provide extra storage space ahead of Christmas. Coldtraila has just launched the unique service for care homes across the whole UK in desperate need of extra space to store meats and other produce in the build-up to Christmas, whether that be due to their freezers malfunctioning or just running out of space. Ross Pushman, Managing Director of Coldtraila, said: “This new Christmas service will ensure care homes won’t run out of storage space this winter. “We know how vital this time of year can be for care homes as they look to keep residents warm, comfortable and well-fed in the harsh winter months. That’s why we decided to offer a bespoke 24-hour emergency service to ensure they can provide more than adequate space for their turkey and geese ahead of the big day. Coldtraila recently acquired two new trailers exclusive to the UK market; the Chill-Tow and Freeze-Tow. The trailers’ heavy-duty chiller capabilities, which include surplus cooling power and rapid temperature recovery, offer the most cost-effective solution to storing frozen produce. They also come equipped with a special multifunctional digital display unit that can manage and control the temperature of produce being stored. For more information on the new service, call 01684 311811. Alternatively, for more information on Coldtraila, please visit https://www.coldtraila.co.uk/.